THE ART OF LAYOUT LIVES! This book teaches you everything you need to know to make it easy to solve any layout problem, from the most basic to the most complex. These tips will make you more valuable on the job because you will have the confidence to tackle and solve any layout problem without the the help of a computer! An excellent book for use in the classroom. This book has a special binding so it lies open and flat as you study the layout procedures. 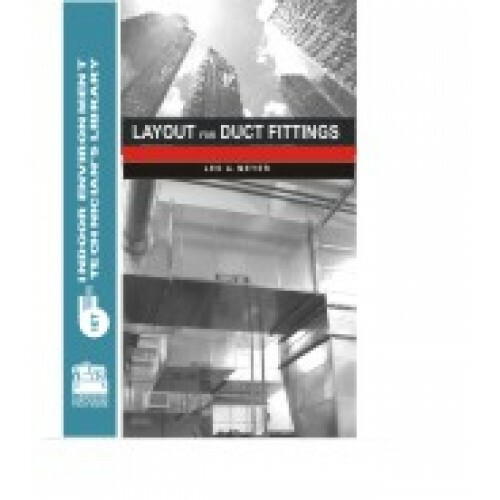 A companion workbook—Practice Projects for Layout for Duct Fittings—gives 23 layout projects to practice on. The finished patterns for each project are provided, showing all the notching and the allowances for seams and edges. These projects are presented as shop tickets—just the way you get them on the job. Wonderful text, very practical, as are all of Leo Meyer’s texts. A must have for any technician working with sheet metal in the HVAC industry. Received your book Layout for Duct Fittings and find it an excellent source of tips and information. Nice little book and it's easy to read. I've been in business over 40 years and I found the book very interesting with great short cuts.